You may soon see semi-trucks cruising around the highways and byways of America branded with the Amazon logo, not because the company is going to start delivering its own stuff, but because it wants to become more efficient at how its inventory gets from one company facility to another. 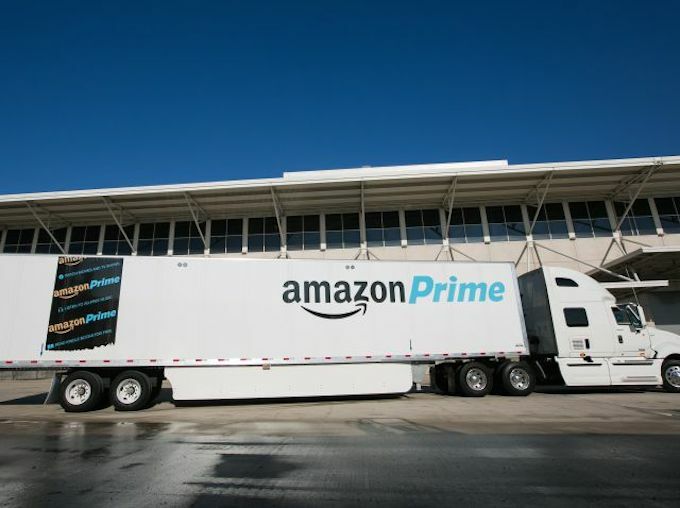 Amazon is planning to unleash thousands of the branded tractor trailers onto roads to help it shuttle products around, in an effort to be more involved in its shipping processes, reports the Wall Street Journal‘s Digits blog. Though the trucks won’t be making any deliveries itself, from a marketing perspective, it won’t hurt for customers to see the trucks roaming about. In the future, we may see Amazon trucks making everyday package deliveries, as well as dropping off food or ferrying flowers, as the company works on new ways to take more control over the “last mile” step in a package’s journey from its warehouses to customers’ doorsteps. To that end, back in April 2014, Amazon tested using its own delivery trucks in San Francisco. And more recently, it tried out using Chicago Tribune newspaper delivery trucks with extra space to ferry goods to customers. The new trucks emblazoned with the Amazon smile logo will be deployed around the country, Amazon says.